Baobab contains six times as much vitamin C as one orange. The vitamin C content is higher than most other fruits like oranges, kiwis and strawberries. 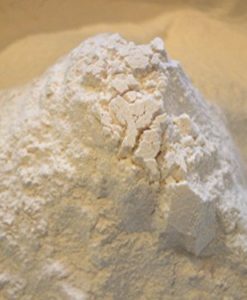 Baobab contains twice as much calcium as milk and 50% more than spinach. 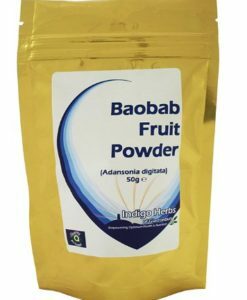 Baobab is the best iron supplement for anaemia. It contains other important minerals, too, like potassium, phosphorous, magnesium and copper. The pulp contains 50% fibre, both soluble and non-soluble, which helps regulate digestion. 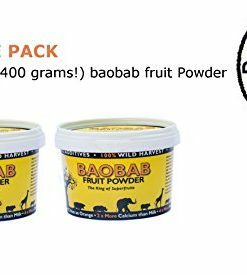 Organic baobab fruit powder, adansoia digitata fruit powder, also known as tarangire, African baobab or African upside-down tree. The baobab has been a natural source of health and well-being in Africa for hundreds of years. 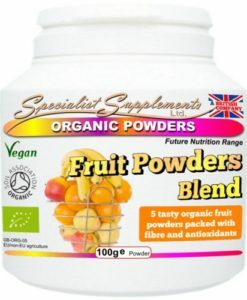 The baobab fruit contains fourteen essential vitamins and minerals. The tree is considered holy in Africa where it is used as a medicinal tree. 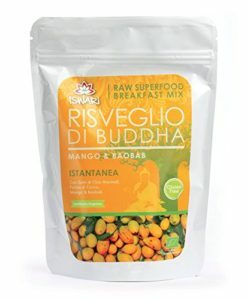 EnergyBalance organic baobab fruit powder: We use certified organic baobab, just like nature made it. There is absolutely no human intervention during the fruit’s natural growth and ripening process. The fruit dries on the tree naturally, is picked and then peeled. 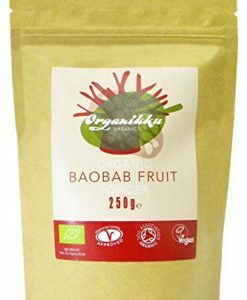 The fact that the fruit dries on the tree naturally and is not treated with chemicals or heat, makes EnergyBalance organic baobab fruit powder a 100% organic product. Baobab has been a natural source of health and well-being in Africa for hundreds of years. The word baobab comes from the Arabic word, bu-hibab, the tree of a thousand seeds. The baobab fruit is bigger than a coconut and grows on the tree in abundance. The rare and highly valuable elixir, baobab oil, is pressed from the seeds. Baobab oil is a nectar containing a variety of essential fatty acids and is highly prized by the locals, both as a food and for skin care. 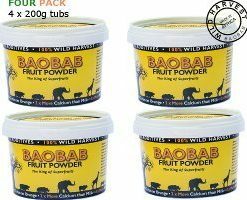 Baobab is so valuable that every part is used The fruit pulp is extremely rich in nutrients and nourishing substances like vitamin C, calcium, soluble and non-soluble fibre, minerals and vitamins. The leaves are eaten fresh and are an important source of protein, containing all essential amino acids and most of the non-essential ones. The roasted seeds are edible and taste like pistachios. 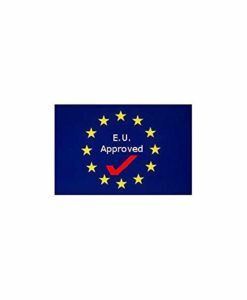 The high oil and linoleic acid content gives cosmetic products the ability to tone the skin and restore its elasticity by rejuvenating the epithelial tissue. Its size and broad geographic location makes the baobab the most impressive symbol of the African savanna. The wood has special qualities that protect the tree from fire, making it a coveted natural water reservoir as well. Many villages in Africa have a baobab tree nearby in which they set small cisterns into the hollowed trunk. In these areas, tradition prohibits cutting down baobab trees. 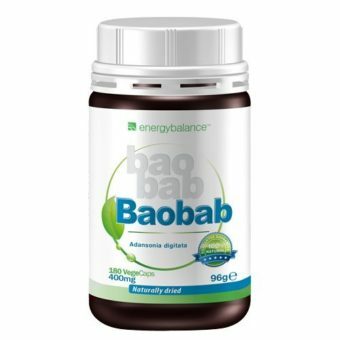 EnergyBalance baobab powder is organic, plant-based, gluten-free, suitable for vegetarians, vegans and diabetics and contains: 180 VegeCaps à 400mg. 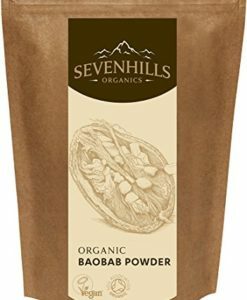 EnergyBalance organic baobab fruit powder: • For people who are gluten and dairy intolerant:?Baobab contains high amounts of protein and calcium, making it a valuable milk substitute. 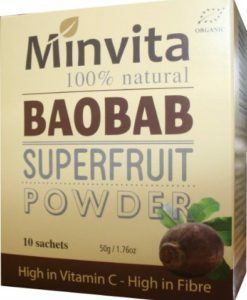 • Baobab is rich in thiamine (vitamin B1), which is particularly indispensable to nerve system functions. • The vitamin C and B6 contained in baobab help you recover from tiredness and exhaustion. 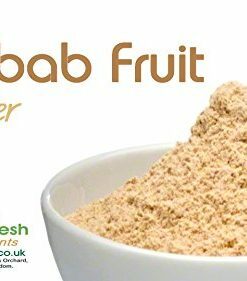 • Baobab is very rich in fibre, which stimulates digestion and promotes healthy intestinal flora.